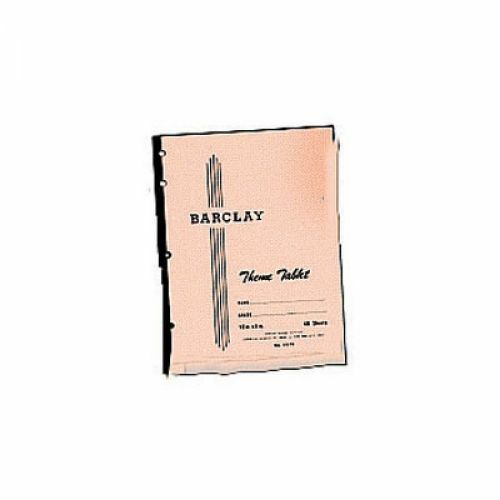 Catalog Home > Barclay Theme Tablets - 1 dozen - White paper - Ruled with Margin - 8" x 10" - 48 sheets - No Holes"
Barclay Theme Tablets - 1 dozen - White paper - Ruled with Margin - 8" x 10" - 48 sheets - No Holes"
Tan pressboard-type cover, white paper, sub 16. 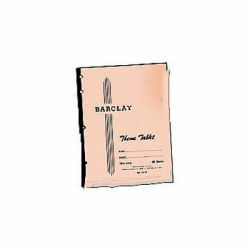 Ruled with margin. 8" x 10". 1 dozen/pkg.